DeAnna Hamblin's wonderful "movie" trailer for GYM CANDY. Thank you, DeAnna! 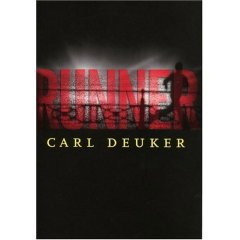 To purchase a novel by Carl Deuker, click here. CLICK HERE TO SEE BOOK TRAILERS MADE BY READERS! Mitch True is depressed when he is assigned the sports beat for his high school paper. He wants to uncover a big story. But his depression turns to excitement when he spots Angel Marichal on the football team. Angel is big, strong, fast--and he's hiding his past. Why? Mitch knows there is a big story just waiting for him. He's right . . . and he's wrong. Click on the title of the novels for more information. The titles serve as links that will take you to more information, and some movie trailers, for the various novels. Thanks. Mick Johnson thinks the world of his father, a college football star who had a brief stint in the NFL. He's got the genes to be a good running back; he's got the will to be a good running back. But is "good" good enough? How far will he go to change "good" to "great"? A thriller that will keep you on the edge of your seat! Chance could have been a star runner in high school . . . but with a mother who walked out on him and a father battling alcoholism, the kind of running he does is much different, and much more dangerous, than runners on a high school track team. Drug smuggling, terrorism, explosions, and death--this book is sure to keep you reading. Like the game of baseball, life is quirky and unpredictable, as Shane Hunter discovers in the spring of his sophomore year. Suddenly and without warning his life of privilege is turned upside down. And just as suddenly, life begins to sem utterly without fairness of purpose to him. The game of baseball becomes a means of vengeance. A game meant to be played in the bright sunshine takes Shane instead into his own personal darkness--a darkness both strangely comforting and ultimately terrifying. All Nick Abbbott ever wanted was for his father to compliment his game. That praise has always been reserved for Nick's older brother, Scott, a gifted athlete. When Scott chooses music over basketball, Nick finally gains his father's attention-and his win at all costs mentality. 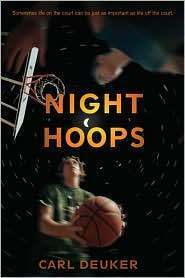 As one of only three sophomores to make varsity basketball, Nick struggles with becoming a team player, especially when that means sharing the ball with Trent Dawson, the troubled but talented boy from across the street. Then Nick's mother tells Trent that he can practice using Nick's backyard hoop. As Nick and Trent begin to play pick-up games late into the night, they also, reluctantly, begin to form an unusual friendship, and learn that how you play matters just as much as winning. In his senior year of high school, late-bloomer Ryan Ward has just begun to feel the magic of baseball: the magic of catching a wicked slider, of throwing a runner out, of training hard and pushing his limits. But when one of his teammates clearly pushes the limits too far, Ryan is faced with a heartbreaking dilemma: He must choose between his love for the game and his integrity. Seth and Jimmy have the kind of friendship you can't put into words--the kind you think only happens in movies. They both live and breathe baseball, but while Seth struggles to be good enough to make the varsity team, Jimmy, a natural, looks like he's on his way to becoming a major league star some day. On and off the field, their passion for the game gets them through some of life's bittersweet struggles and unites them in a once in a lifetime friendship that is meant to last forever. . . In a new town for his last year of high school, seventeen-year-old Joe Faust is determined not to spend it as his ambitious father would have him--in a private school. Instead, he hopes to make this year his best on the basketball court, playing on the city's strongest public school team. But, as it happens, Joe's senior year turns out be entirely different from what he had expected. He attends a school he despises and watches his skill on the basketball court deteriorate until he can't even make a decent pass or easy lay-in. 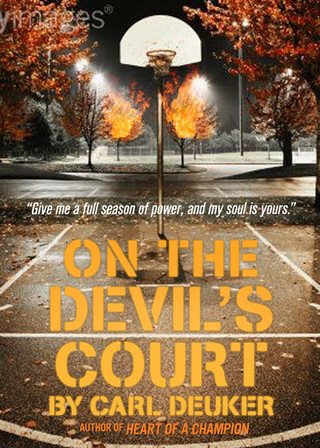 In desperation--he entangles himself in a situation so fantastic he can't tell if it's real or imagined--a dilemma set in motion one stormy afternoonin an abandoned gym when a series of miracle shots prompts Joe to strike a bold, brash, and utterly terrifying bargain. "Second String" What happens when it's your year to be the starter, and then a new (and talented) kid joins the team? This story appeared in Boys Life. "The Sun and the Wind and the Clouds" Grandpa was always special until his bike accident reduced his mental capacity. Can he be prodded back to health? This story will appear in Boys Life soon. "If You Can't Be Lucky" A comic wrestling story featuring dog poop and John Jacob Jingelheimer Schmidt. This story appeared in "Ultimate Sports" edited by Don Gallo. Deception on and off the field. A football story, and much more. Bigger, Faster, Stronger--that's what Mick Johnson needs to become if he's to fulfill his dream of becoming a star running back not just in high school, but in college and beyond. But how does a person keep getting bigger, stronger, and faster? 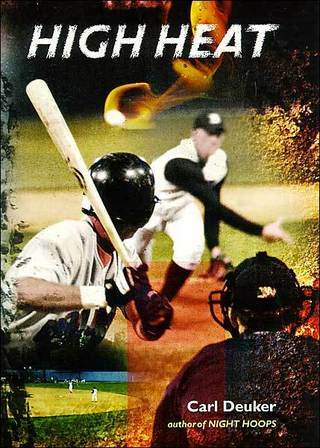 A dramatic and accurate portrayal of the game of baseball and life. For Ryan giving up baseball now would mean getting off the most exciting ride of his life. Baseball, the loss of a parent, the temptations, of adolescence. Joe Faust is ashamed of only two things. First, that he goes to a private school. Second, that he sold his soul to the devil. Chance knows what he's doing is risky, but it's only for a short time. Nothing can really go wrong . . . or can it? Young Adult Fiction -- Winner of the 1993 Golden Sower Award. A life on the brink. . . A basketball season to remember. Order from Secret Garden, an independent bookstore in my neighborhood, and you will receive an AUTOGRAPHED copy. Click here to see a short movie (trailer) made by Jamie Stone for RUNNER. Thank you, Jamie, and good luck with your film career. Thanks, Lucy D. for showing this to me.